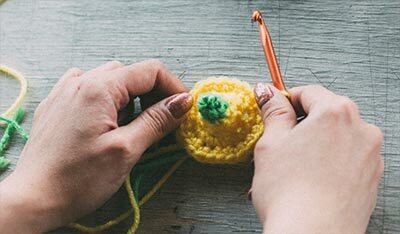 Whether you teach in a grammar school or high school, lead a 4-H or scout troop or run an after-school program, forming a knitting and crochet group or club can be a rewarding, fun experience for you and the children or teens. And you don't have to be an expert knitter or crocheter to make it happen. In the following profiles, teachers share their first-hand experiences about how they started and how it has enhanced the children's learning experience. We hope you read each profile for more insights and detail. Generally, third graders (and older) are a good age to start, though younger children with an interest and good motor skills can pick up the techniques quickly. 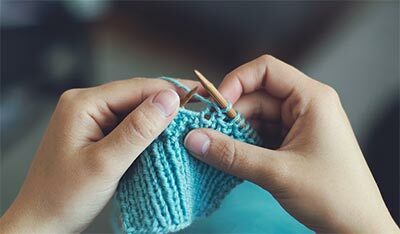 It is helpful to provide beginners of all ages with needles (or a hook) on which a small number of stitches have already been cast-on and several rows worked. Casting on or making a foundation row are skills that are easier to grasp after they learn how to make the basic stitches. Look for volunteers to assist in teaching. Consider contacting a local store for help or posting notices in school, libraries or any gathering place. Knitters and crocheters love to share their skills.